Welcome to Rehab Store… a one-stop shopping experience for all your rehab products! Most people have some rehab needs at some point in their life. Maybe due to injury or age. Rehab Store’s mission is to attend to all these needs. We have made it mandatory to provide you an innovative experience with quality products. And with our medley of rehab equipment we hope you will experience just that. Our standard of products and competitive pricing plus our customer service and fast home delivery… all are top grade. And this is what makes us uphold your trust in us. A visit to Rehab Store will give you all the rehab items you may ever need. If you are suffering from arthritis or have ankle pain or knee pain then a visit to our Aids to Daily Living is a must. Here you will also find products to provide assistance to those suffering from multiple sclerosis, carpal tunnel, tennis elbow, plantar fasciitis and other debilitating illnesses. This section has a complete range of products to make your day-to-day routine pain-free and easy. Whether dressing, reading or writing, these devices are tailor made to handle all chores. Some of these items help put on shoes or tie shoelaces, take care of nails or put on socks. Dining experience is a pleasant one with the devices in our dining aids section. We have cups and drinking aids, specially-designed utensils, feeders, plates and bowls as well as other kitchen supplies. Our exercise and fitness section has a whole lot of equipment from Fabrication Enterprises, AGM Group, BodySport, North Coast Medical, Ball Dynamics, Fitter International as well as Prepak Products. These products provided aquatic therapy, strength and weight training, hand and leg exercise, equipment for cardio and balance and total body conditioning. Also available are exercise bands, tubing and balls. 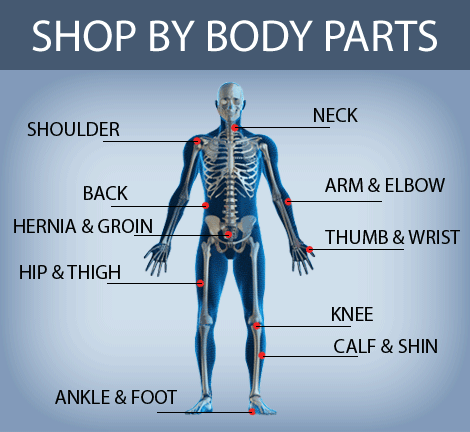 Our orthopedic section has all types of supports for elbow, arm, shoulder, knee, thumb, finger, thigh, ankle, back and abdomen. This is supplemented by splinting products for hand positioning, casting and fracture bracing, dynamic splinting as well as preformed and precut splints. The Continuous Passive Motion (CPM) section at Rehab Store has quality and high-performing machines for the knee, hand, ankle, shoulder and elbow from trusted names like Chattanooga, Medline, Kinetec USA and Drive Medical. Even Rehab Store’s Evaluation section has really useful rehab items to aid in diagnostic, range of motion and strength testing. There is a whole line of blood pressure monitors, sphygmomanometers, thermometers and stethoscopes. All from top brands like HealthSmart, Kendall, Littmann, Vicks and Adtemp. We also have a whole host of rehab modalities and fall prevention products. The range at our store is comprehensive, the quality unmatched and the pricing highly competitive. Therefore, customer experience is guaranteed to be top grade.